Today, we’re publishing the first edition of T500: the definitive list of digital top talents from Holland under 25. I’d like to explain how we came up with this concept about six months ago, why we believe this concept will help Dutch talent develop, and how it will help the Dutch economy in the long-term. Since technology is changing every industry, the demand for digital talent is increasing exponentially. Unfortunately, qualified candidates are often hard to find, and companies are facing difficulties in finding the right talent. In Holland the current solution to this problem is to attract talent from abroad. Not that difficult, because our economic ecosystem is attractive for expats: at least 94% of the Dutch population speaks English. Furthermore nearly every university offers most courses in English as well. We also host the EMEA Headquarters of large corporates like Nike, Booking.com & Uber. And yeah, ask @boris what living in Amsterdam is like. The growing demand is good for existing talent – they can basically pick and choose what company to work for. But the amount of available talent will become a big problem in the (near) future. We believe young talent is the key. They’re the future, and are still open to choose directions in their professional lives. We believe the digital direction is the one to choose for. But a platform for young top talent, where they are recognized for their skills, and where they can meet up with each other, was still missing. We believe that besides being the brand with the reach to change this, it’s also our responsibility, so it was only natural that we took action. 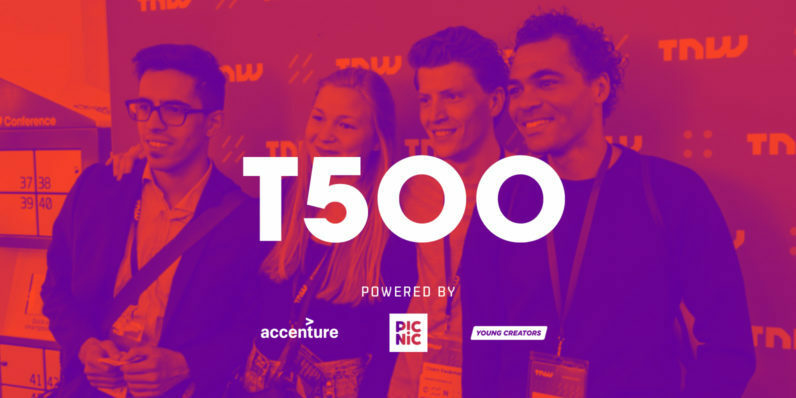 This is why we came up with T500: To find, foster, and develop Dutch top talent in digital under 25 years old. And I know, finding 500 top talents in of our tiny little country seems quite ambitious. But is it really? Our community partner Young Creators, rising star Picnic, and consultancy firm Accenture helped us take on this challenge. We were overwhelmed by the great amount of applications and their quality. It was the other way around: It ended up being a really hard task to curate a list of the 500 best talents out of 3000+ applications. So, how did we do it? Talents had to be under 25 and their profile had to be in digital, of course. The jury (below) also looked at their current roles, skill set, and what projects they worked on in the past. We asked the participants to convince the jury why they belonged on the list and we asked the jury to ask themselves: Would I hire this person today if I had the opportunity? We divided them into hustlers (sales, marketing), makers (design, creative) & creators (developers, engineers). The winners got an email 3 weeks ago. We were surprised by how proud and happy they were with their spot on the list. A good example are the super creative #t500 posts on their LinkedIn walls. We gave them free access to TNW Conference 2017 two weeks ago, where they had the opportunity to sign up for the Talent Sessions: Small round-table workshops hosted by experts from companies like Trivago, Uber, PwC, Picnic, and Accenture. With that, we’re proud to present to you the official list of T500. Keep an eye on them!